We're sorry to inform you there will be no HOTROD and CUSTOM show in 2016. We're looking forward seeing you again in 2018. For the first time in Europe! Looking for a place to eat around Chimay??? 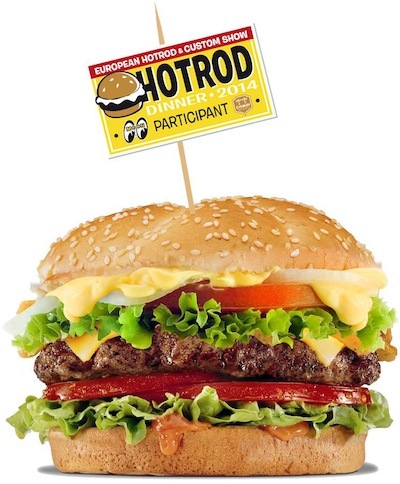 A Deluxe Burger Party on Friday the 27th of June! Fixed menu and pre-reserved only! 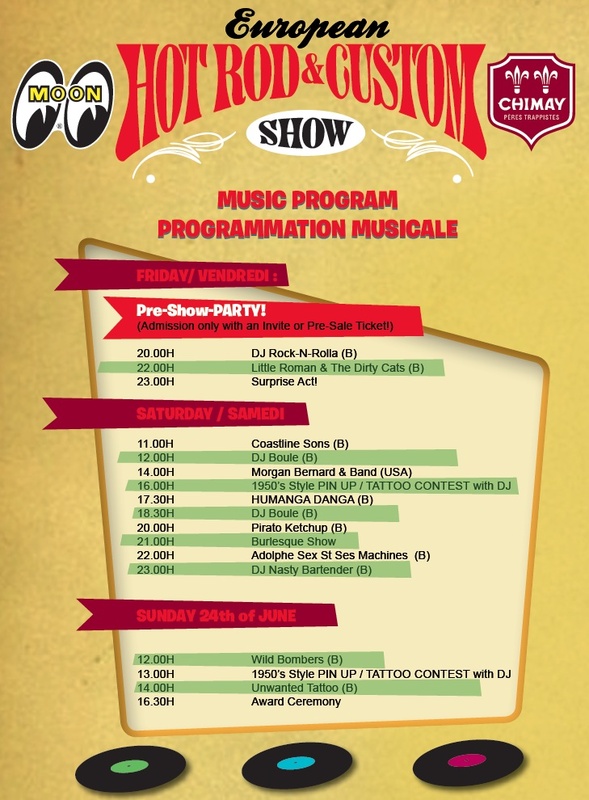 See you all and many more in Chimay! THE WEEKEND TICKET PRE-SALES ARE NOW CLOSED! 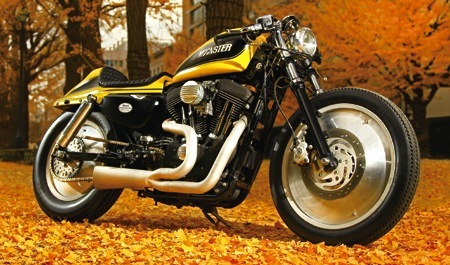 MORE THAN 800 CUSTOMIZED VEHICLES HAVE PRE-REGISTERED FOR THE SHOW AND WE HAVE SPACE FOR MANY MORE! 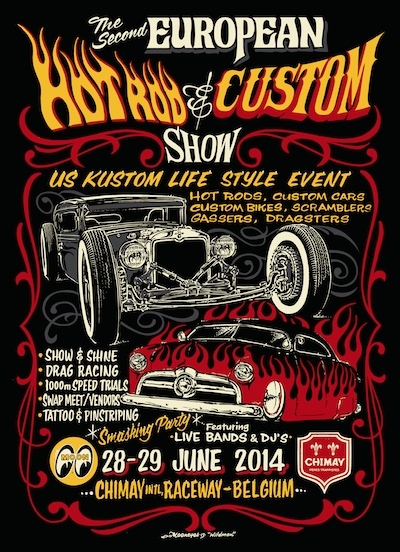 The 2nd European Hot Rod & Custom Show promises to be even bigger than the first edition in 2012! The fact that the pre-registrations for participating vehicles have now closed doesn't mean that we don't have space for you and your ride that hasn't been pre-registered! 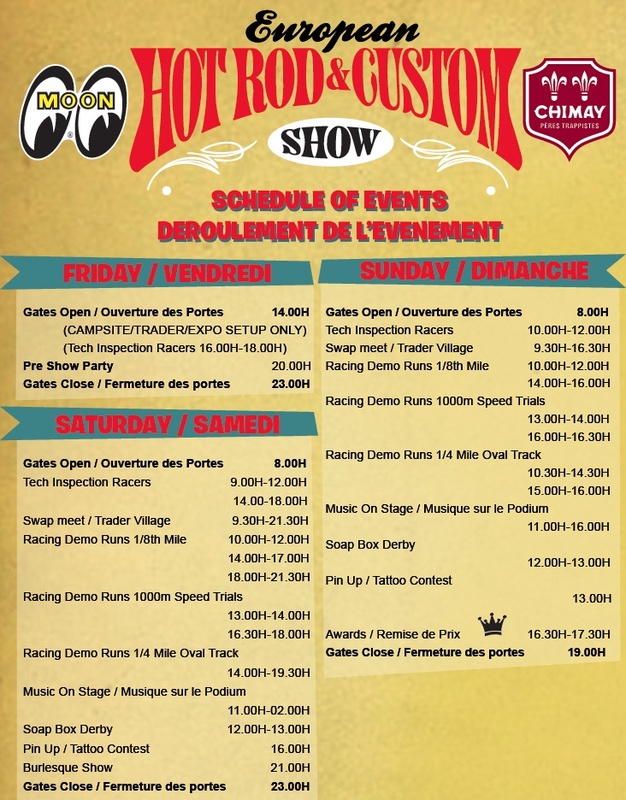 So Join us with your customized car or bike at the old Chimay race track and let's all enjoy a great Kustom Lifestyle weekend! at the Chimay Intl Raceway, Belgium! 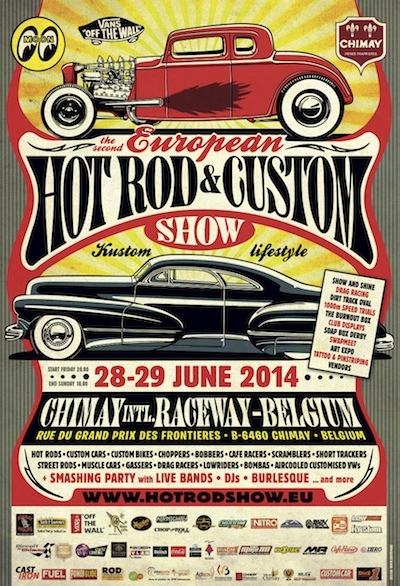 The first European Hot Rod Show on the 23rd and 24th of June 2012 was a success!!! Over 1.300 Customised cars built before 1975 drove to Chimay! 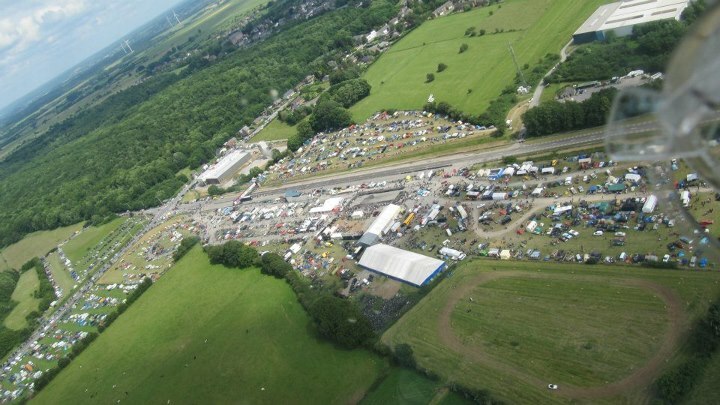 Thanks go out to everyone who was involved with the event and we hope to see you again in the Summer of 2014 on Chimay Intl Raceway, here in the South of Belgium!